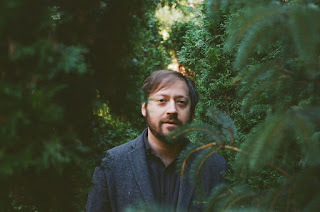 If It's Too Loud...: Gabriel Birnbaum - "Stack the Miles"
You may know Gabriel Birnbaum better as the frontman of Wilder Maker, but he also is a member of Debo Band and has played with Sharon Van Etten, Lady Lamb, and more. Right now he's releasing a solo album later this year, and we can check out the first single, "Stack the Miles." "Stack the Miles" may sound like pretty standard solo album, singer/songwriter material at first. However, that helps mask how interesting and unique the song is. Despite having a relatively full sound, the song is quite sparse. It's basically the same riff repeated over and over throughout the entire song, with some secondary flourishes sprinkled in regularly. It creates an odd, but intriguing song. You can listen to "Stack the Miles" below. The song will be included on Gabriel Birnbaum's upcoming debut solo album. To keep up on details when they are announced, head on over to Wilder Maker's website.